Dr. Lovelace went to undergraduate school at The University of Texas at Austin. He received his Doctorate from the University of Houston and completed an internship at Brooke Army Hospital San Antonio Texas. Dr. Lovelace has been in private practice in Greenville and a member of the American Optometric Assn. , Texas Optometric Assn. and Dallas County Optometric Society for over twenty years. 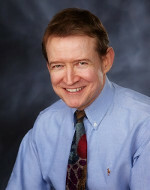 Dr. Lovelace has obtained the recognition as a Therapeutic Optometrist and a Glaucoma Specialist.